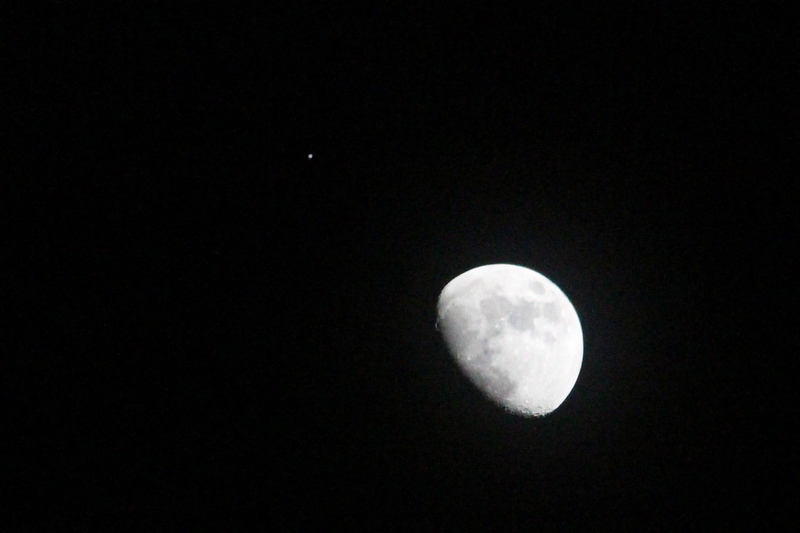 Today, Jupiter made a close appearance near the Moon (from our vantage point, anyway). They won’t be this close again until 2026. I snapped this picture from my patio. Here’s some more info on the astronomical event. I like this but I’m jealous, I can never get my night photography to turn out the way I want it to.